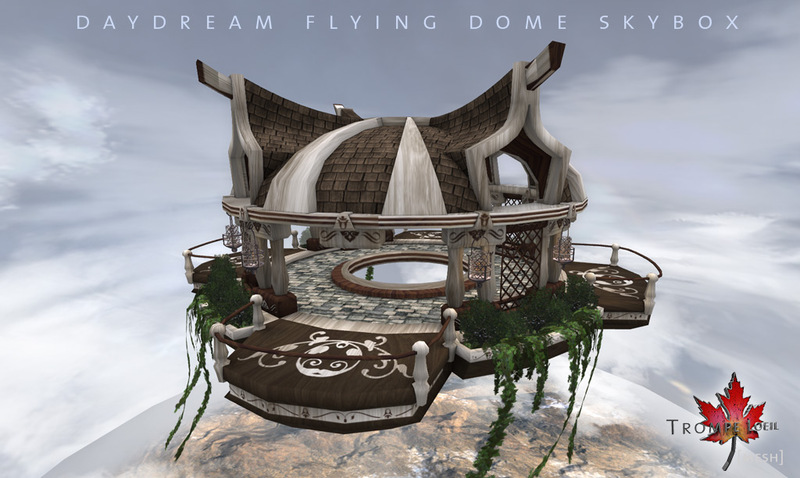 Daydream Flying Dome for Collabor88 May! 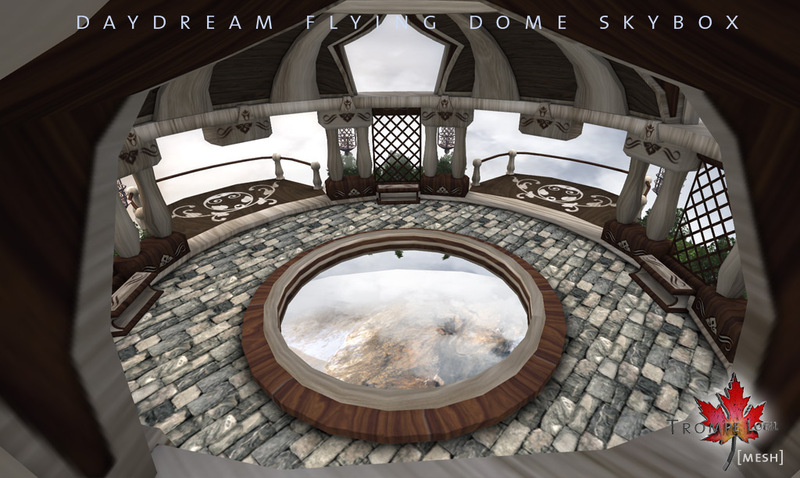 We are very excited to offer the latest in our line of unique, artistic skyboxes – the Daydream Flying Dome, at a very special Collabor88 price! 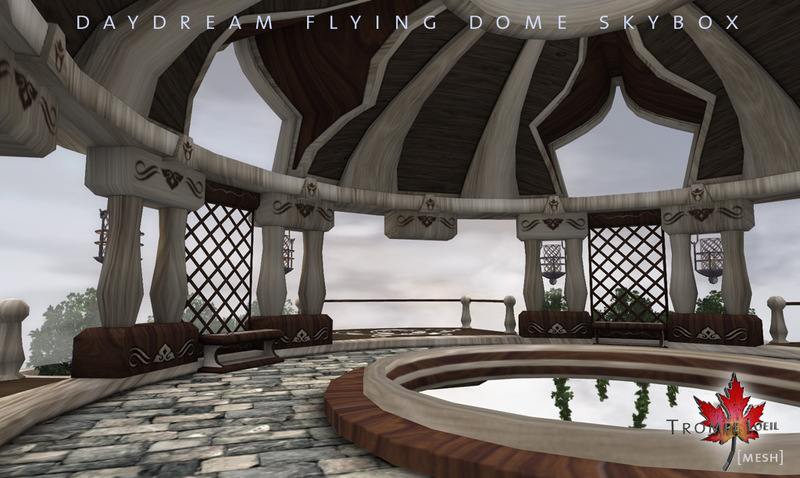 This 24m x 24m mesh pavillion includes trailing ivy and foliage plus seating for 8 (four benches that seat two each, 7 animated poses per seat) and a 64m x 64m prim animated skybox that slowly scrolls the landscape below while clouds swoop alongside you. 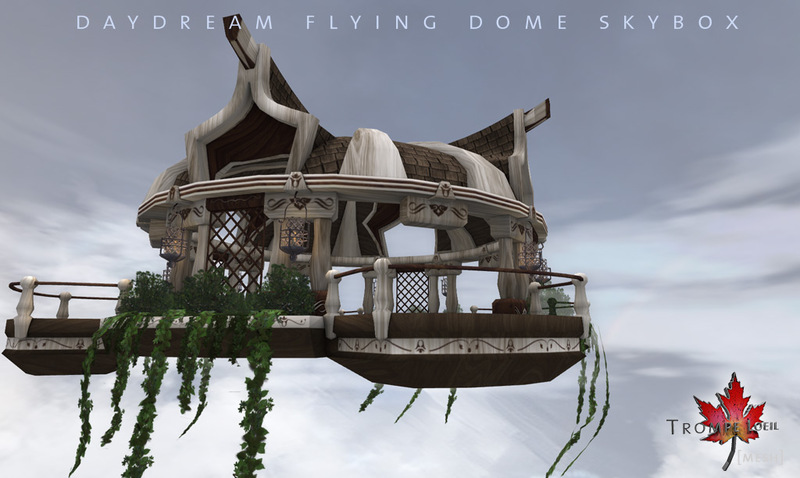 Click the skybox to temporarily fade it from view and allow flying visitors in and out – includes friend/group access list! Or, delete it entirely and use the pavillion on the ground or in the water for a truly unique public display. 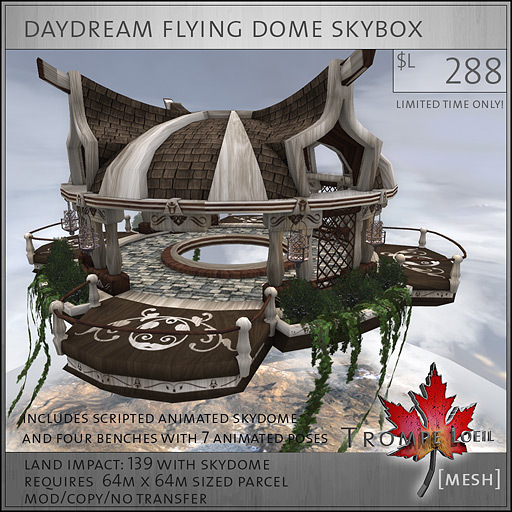 This is available exclusively at Collabor88 for the low intro price of only $L288 – so swing by and pick it up soon! Zuma Hills mesh prefab – new for Culture Shock!